Canker sores are nothing but mouth ulcers. They appear on the inside of the mouth either on the lips or throat, inside of cheeks or under the tongue. 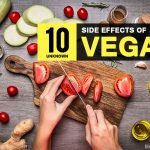 They are highly painful and hence pose discomfort while eating, drinking or brushing teeth and curbed my maintaining the right level of elements like B12, zinc , iron and follic acid. They promote to the cure of the sores and can reduce them gradually. While most opt for anti-biotics or artificial supplements to curb this issue, an easy and healthy way to deal with canker sores is by using coconut oil for the treatment. Below we have mentioned how to use coconut oil for canker sores and the various methods one could try. Does Coconut oil Help Canker Sores? 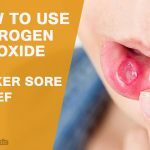 How to Use Coconut Oil for Canker Sores? Canker sores tend to be very painful and if it turns out to be a persistent problem then one must surely consult the doctor. Coconut oil is a natural homemade remedy for this problem. From skin care to improving immunity to hair care to better digestion; coconut oil is an effective remedy for all of these. Its antioxidant properties help in the treatment of various skin ailments. It forms a layer and protects the infected part from dust, bacteria and viruses. According to the Coconut Research Center, ‘coconut oil kills viruses that cause influenza, measles, hepatitis, herpes, SARS, etc.‘ It is also known to kill bacteria causing ulcers. There are many over the counter and prescription medicines to combat this problem. However, natural remedies are always more preferable as they do come without the side effects. Take a tablespoon of solid coconut oil and place it against the sore. Do not rub it too much against the sore, just press it gently. The pain will reduce and the healing will begin instantly. Repetitions: Follow this process at least two times in a day. Take one tablespoon of coconut oil and one and a half tablespoon of beeswax. The oil will not melt easily and you do not need to apply again and again. Take one cup of water and one cup coconut oil. Add a drop of oregano oil for quick healing. Now gargle with this combination of coconut oil and water for instant relief. Can also drink fresh coconut milk 3-4 times a day. Though coconut oil is very beneficial for preventing mouth sores, it has some side effect which may affect our immune system adversely. This oil must not be swallowed if you have cholesterol as it increases the level of bad cholesterol in the body. In some people it causes skin allergies. Swallowing it can lead to diarrhea. It has been the cause of intestinal disorders in some people. 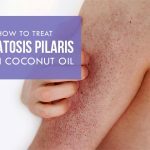 How To Use Coconut Oil for Keratosis Pilaris? 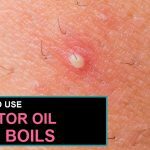 How to Use Castor oil for Boils Treatment? How to Grow Thicker Eyebrows With Coconut Oil? 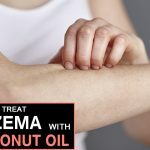 Coconut Oil for Eczema: How To Treat?